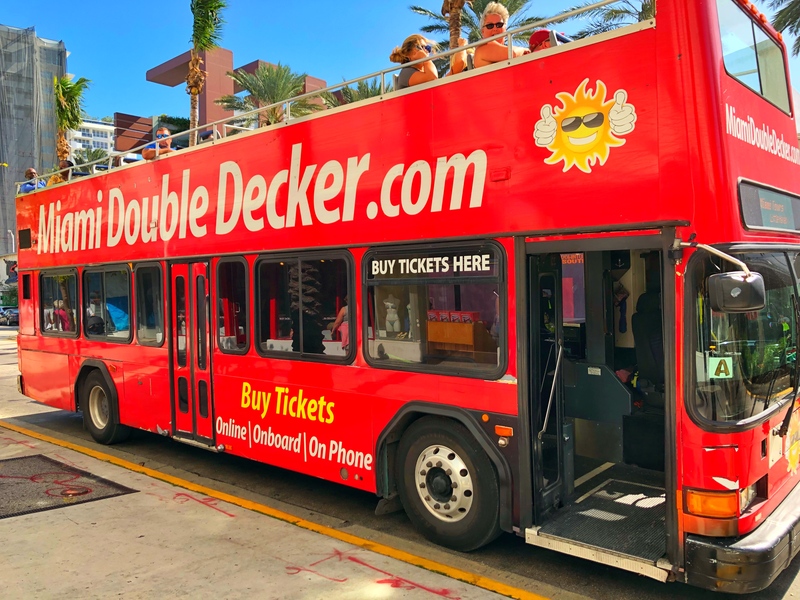 Tour Description: The Miami Bus Tour + Miami Boat Tour covers the Art Deco District in Miami Beach, Coconut Grove, Little Havana; when the double decker bus arrives to Little Havana try the complimentary shot of Cuban Coffee. The tour continues to Downtown Miami over the Miami River though the Financial District to Bayside Marketplace. When the tour bus arrives to Bayside Marketplace everyone hops off the bus and they have an hour of free time for shopping or lunch at Bayside. After Lunch everyone hops on the boat. The Boat Tours cruises all around the islands and the homes of Miami's Rich and Famous. This tour allows you to have the option to Hop on Hop Off at different locations. Q. What do i do after I buy my tickets online? After booking online go to 305 Lincoln Road 30 minutes prior to your tour departure time. Q. What if I just want to come to the Main Station? Boarding at the Main Station is more convenient and allows you to choose your seats. Q. What if I miss the tour? No problem, just hop on the next one. Q. If i choose hotel pick-up where do I wait? Outside, where the sidewalk meets the street. Make sure the driver can see you and you can see the driver. Q. Wheel chair accessible? Yes, simply let us know so we are prepared. We are ADA approved. Boarding from 305 Lincoln Road only. I had an amazing time touring miami by double decker bus and boat ride. If you are in Miami, please make it your business to pay for the combo. Price was very reasonable and the tour guide is awesome. City n Waterview: The best of both worlds. Boo Jan said she's puttin chicken on the grill later n we can watch the game at her houseThe city n water tour was awesome. Our guide Nick was great and full of energy. The tour took us al around the city with a brief stop in little Havanna. The boat tour gave us a water view of the rich n famous people homes. The only negative is it was long so be prepared. All in all I enjoyed the tour n the guide. 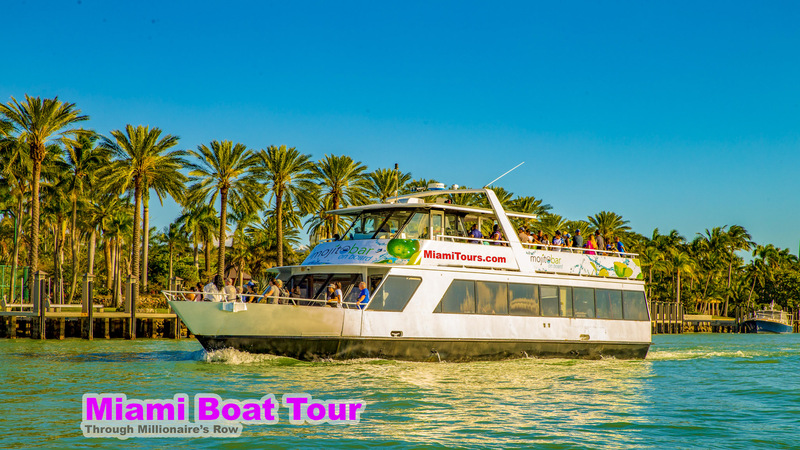 Click the button below to add the Miami Bus Tour + Miami Boat Tour to your wish list.